and uniquely crafted ornamental designs. We design, build and install all types of gates and fencing. 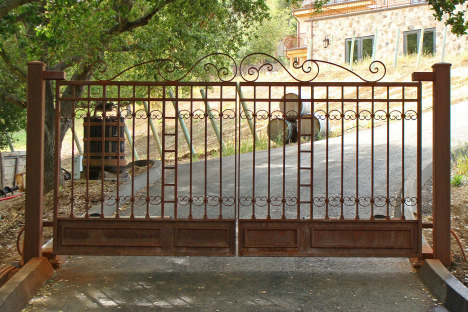 We can create anything from a simple walkway gate to an elaborate double swing driveway gate system with a grade beam and in ground operators, phone system, color camera, and in ground loops. We construct all types of fencing – from pool fencing to entire perimeter fencing. Our entry doors are all complete custom built systems. They include bearing hinges, glass, swing out grill panels, drop-down sweeps, hardware, and jambs. 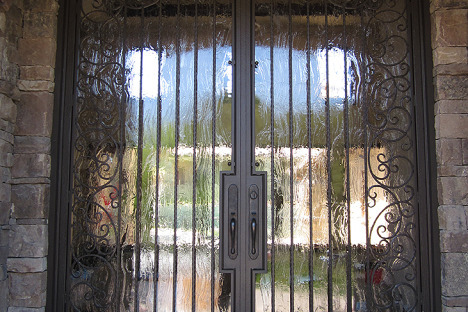 We can build you anything from a single door to an entry system consisting of double doors, sidelights and a transom. These doors can be used for refrigerated wine cellars as well. Any type of railing from a simple wall mount handrail to an elaborate hand forged bronze spiral stair can and has been built by HCM. 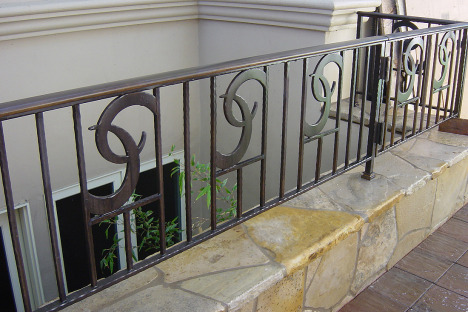 Some of our prior projects include frameless glass railings, stainless cable railings, hand forged scrolls, free flowing vines and leaves, or just a simple picket design. 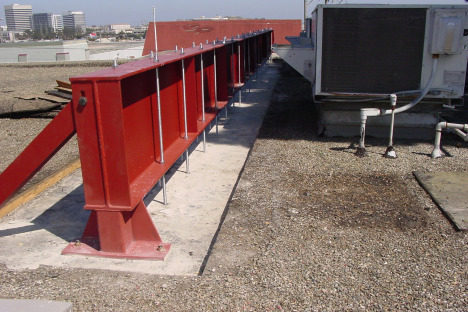 We build and install all types of structural steel including a simple bucket, moment frames, columns, beams, tube rafters, and earthquake retrofits. "They were our ideas, but their craftsmanship turned them into reality." We went into Handcrafted Metals without a clue of how to turn our ideas into reality. Kurt and the Handcrafted Metals crew took our ideas and turned them into a work of art! With HandCrafted Metals, what I have is a long term relationship that I can count on.